Minster Gothic kitchens. Free-standing or fitted. Scroll down the page for larger, fixed photographs. 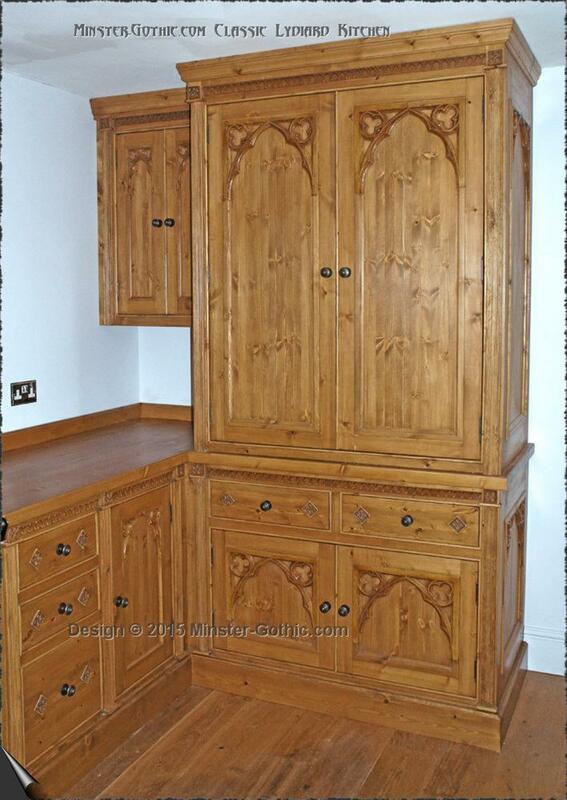 Significant Discounts available for our first 20 Minster Gothic Kitchens Customers! 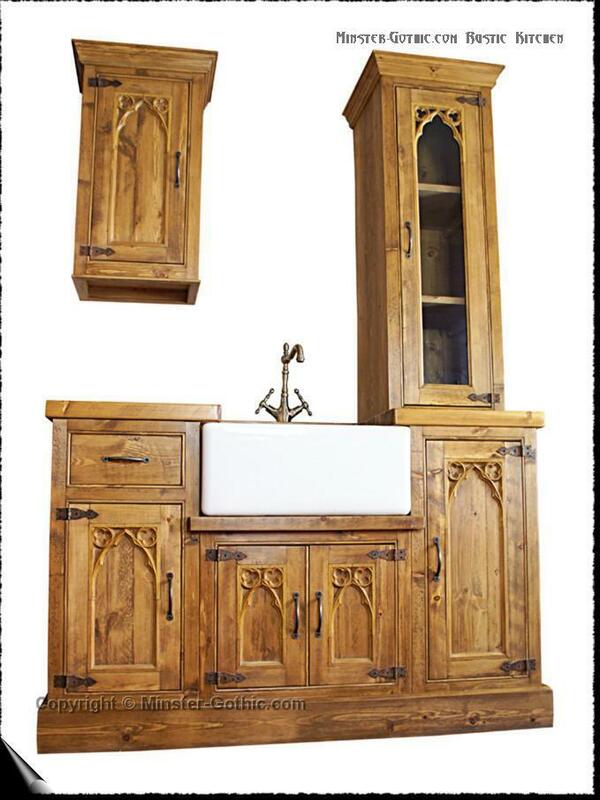 Because we are a small family business we don't have the space available to build a complete display Minster-Gothic Kitchen in our showroom. 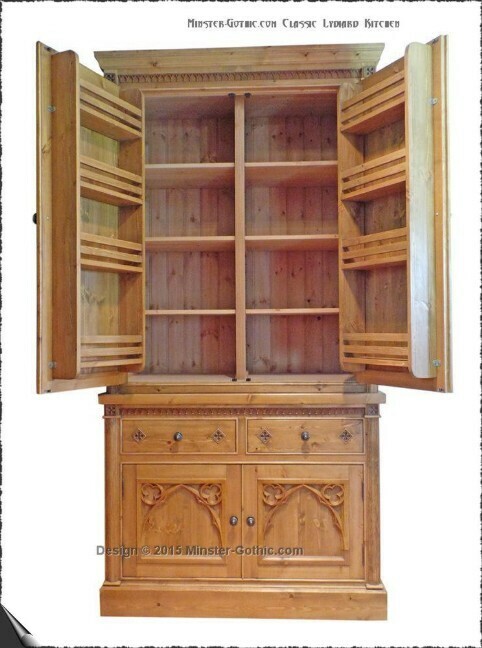 Hence we intend to offer large discounts to our first 20 Minster Gothic Kitchen customers, on the condition that we are allowed to take photographs of the finished result for our web-site. The size of the discount will depend on the size of the order/kitchen but will be a minimum of 15%. 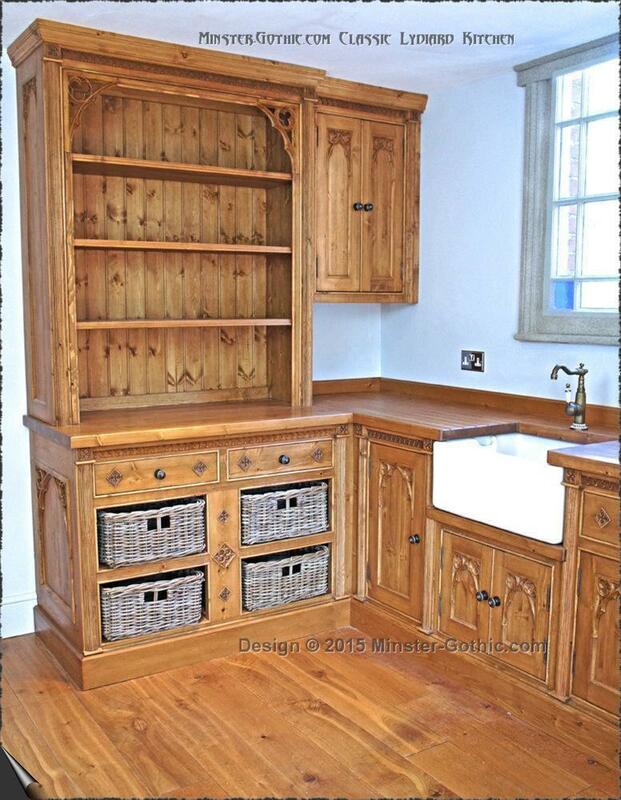 CLICK HERE to use our dedicated Minster Gothic Kitchens enquiry form. Or feel free to use the Contact Us button on the left. Scroll Down to see a selection of larger, high resolution photos taken in different configurations and lighting conditions. Any enquiries? Use the Minster Gothic Kitchens enquiry form or the Contact Us button on the left. Click on any of the images below to get a larger photo. Or email us for larger, hi-resolution photos. 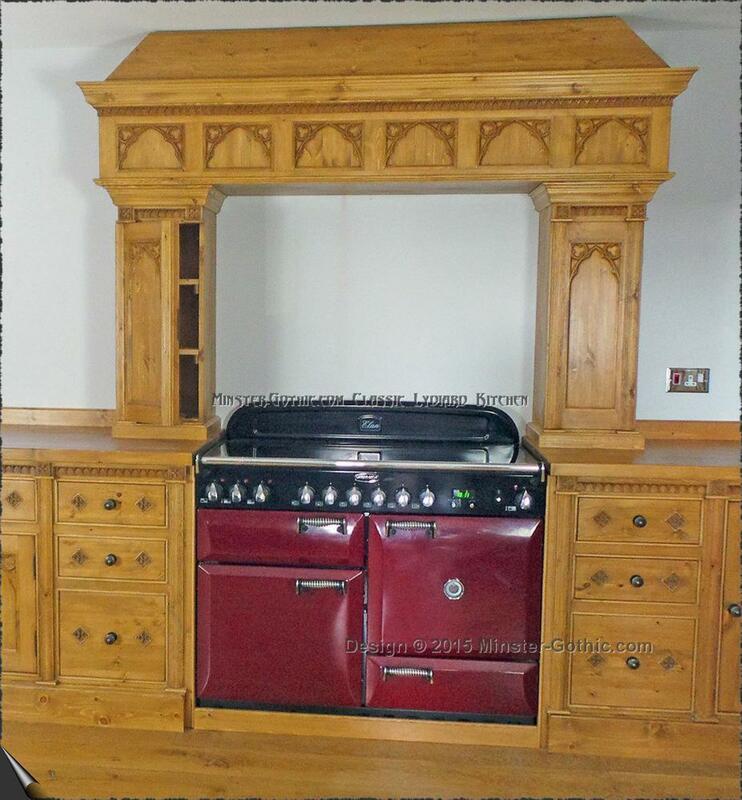 Minster Gothic Classic "Lydiard" Kitchen with Basket Dresser, Belfast Sink and Cooker Surround. 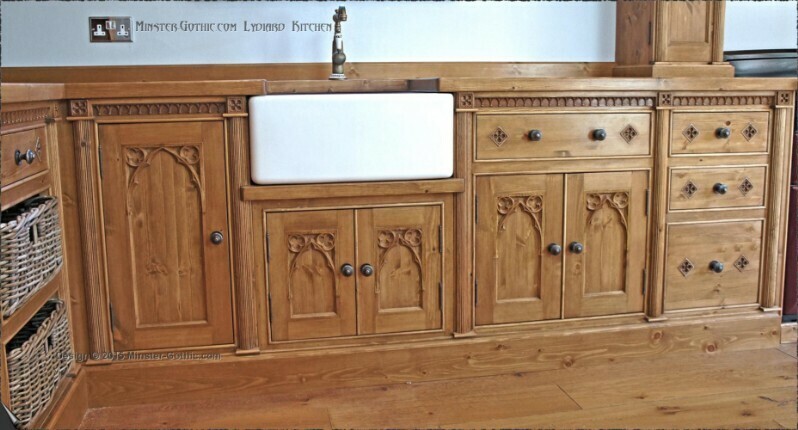 Minster Gothic Classic "Lydiard" Kitchen with Belfast Sink and various base units. Different sizes/configurations available to customers' exact specifications. 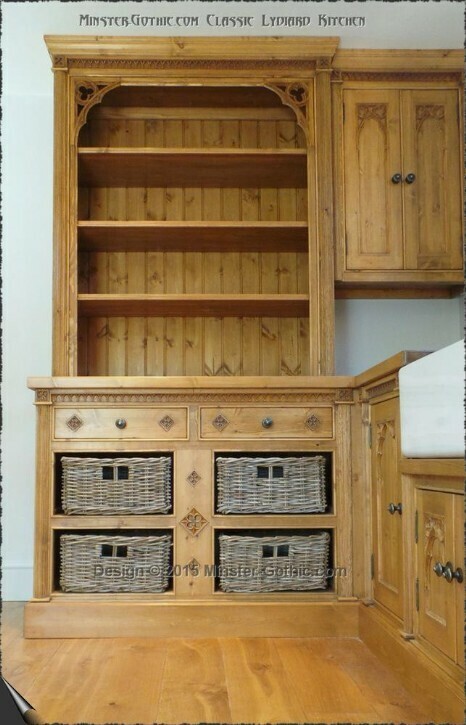 Minster Gothic Classic "Lydiard" Kitchen with Basket Dresser. Different sizes/configurations available to customers' exact specifications. 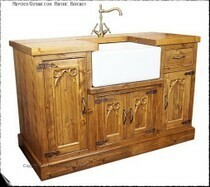 Minster Gothic Classic "Lydiard" Kitchen with Basket Dresser and Belfast Sink. Different sizes/configurations available to customers' exact specifications. 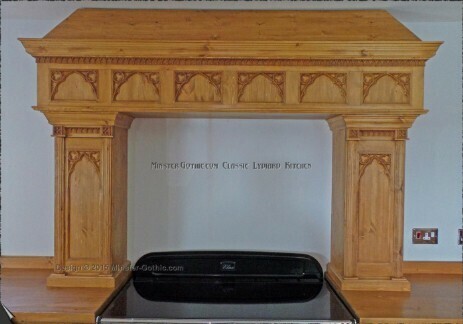 Minster Gothic Classic "Lydiard" Kitchen Larder Unit, Wall Cupboard and Cooker Surround. Different sizes/configurations available to customers' exact specifications. Minster Gothic Classic "Lydiard" Kitchen with Larder Unit and Wall Cupboard. Different sizes/configurations available to customers' exact specifications. Minster Gothic Classic "Lydiard" Kitchen Larder Unit. Different sizes/configurations available to customers' exact specifications. Minster Gothic Classic "Lydiard" Kitchen Cooker Surround with storage cupboards and pan-drawer base units. Different sizes/configurations available to customers' exact specifications. 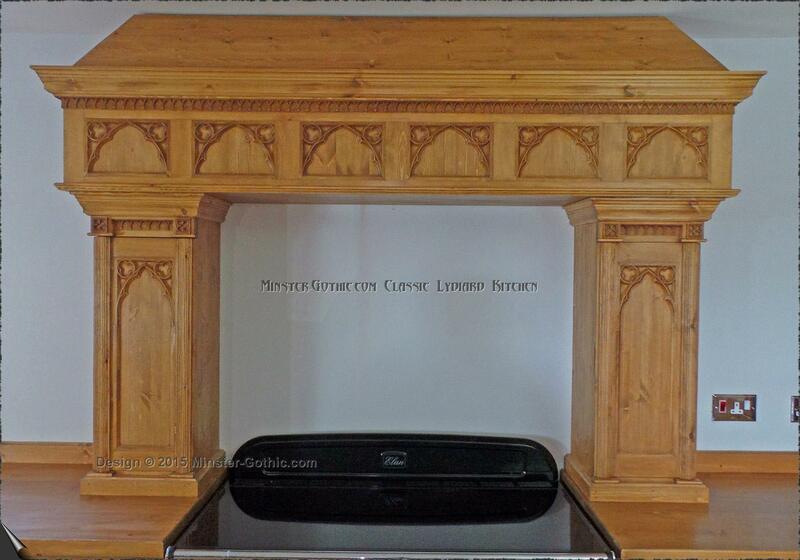 Minster Gothic Classic "Lydiard" Kitchen Cooker Surround with storage cupboards. Different sizes/configurations available to customers' exact specifications. Minster Gothic Classic "Lydiard" Kitchen. Different sizes/configurations available to customers' exact specifications. 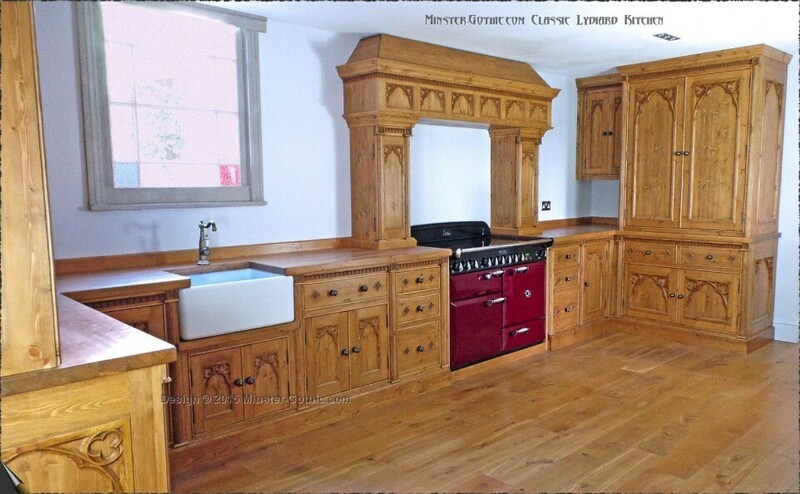 Minster Gothic Classic "Lydiard" Kitchen. 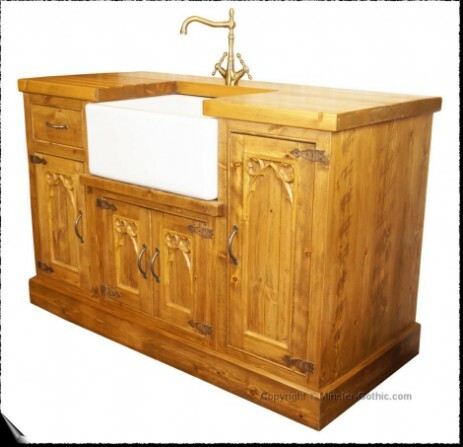 Showing Belfast Sink and Base Units. Different sizes/configurations available to customers' exact specifications. Minster Gothic Classic "Lydiard" Kitchen Larder Unit showing interior with spice racks inside the doors. Different sizes/configurations available to customers' exact specifications. Minster Gothic Rustic Kitchen Ensemble with tall glazed cupboard, small wall cupboard and Belfast Sink. 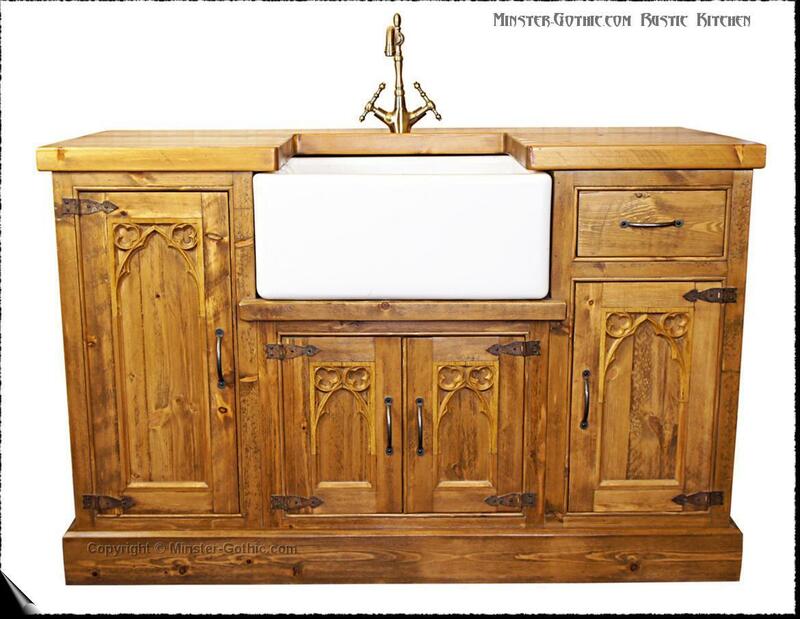 Minster Gothic Rustic Style Belfast Sink Unit. Different configurations/sizes available to customers' reguest. 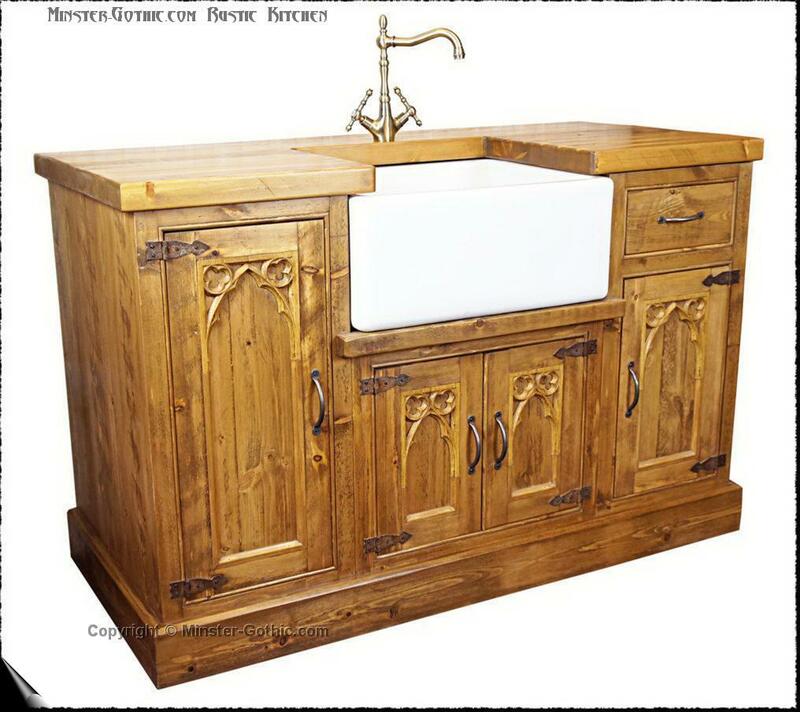 Minster Gothic Rustic Style Kitchen Ensemble. 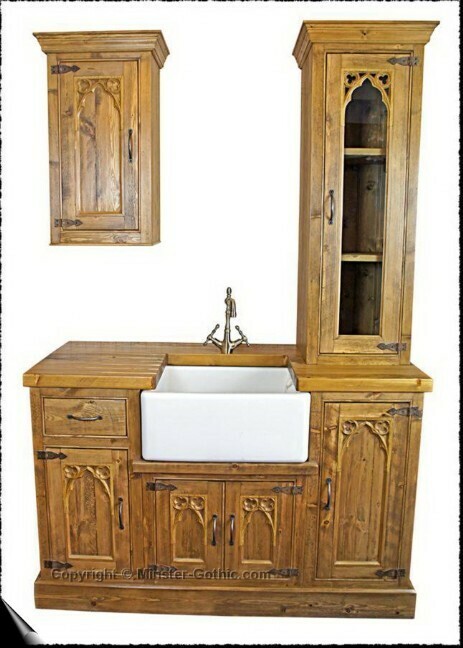 Minster Gothic Rustic Kitchen Ensemble with tall glazed cupboard, small wall cupboard and Belfast Sink. Prices on application. 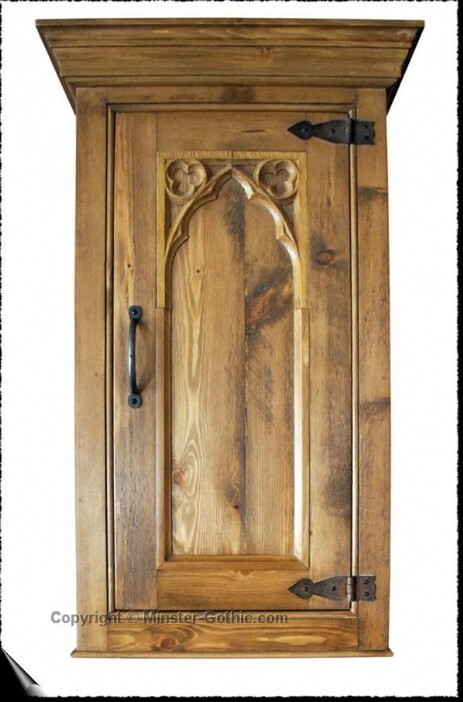 Minster Gothic Rustic Kitchen Wall Cupboard. Different sizes/configurations available to customers' exact specifications. 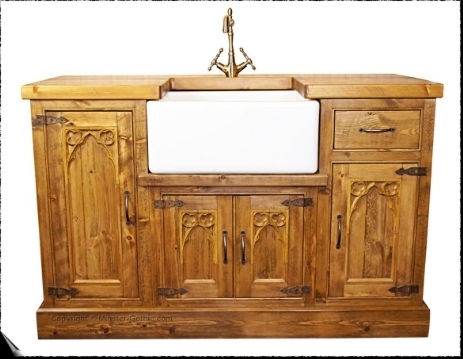 Minster Gothic Rustic Kitchen Counter-top Glazed Cupboard. 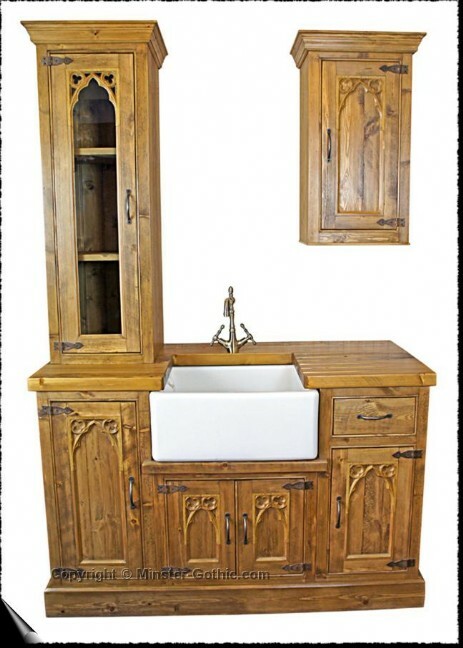 Minster Gothic Rustic Kitchen Ensemble with tall glazed cupboard, small wall cupboard and Belfast Sink. Prices on application. Significant Discounts Still Available! Different configurations/sizes available to customers' reguest/specifications. 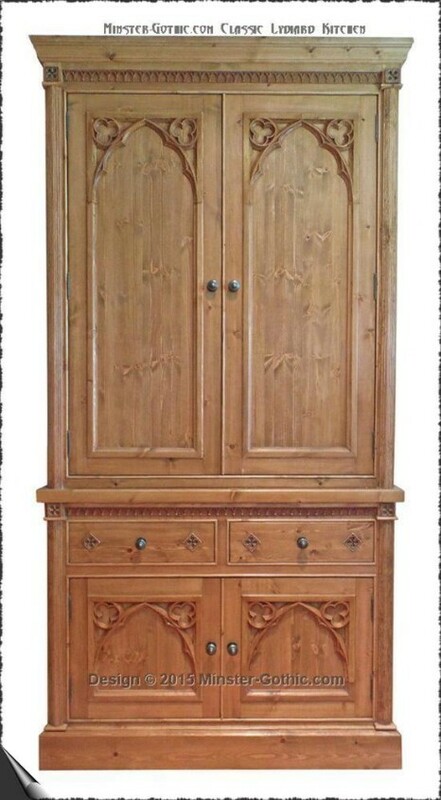 Minster Gothic Rustic Style Cupboard/Drawer Base Unit. 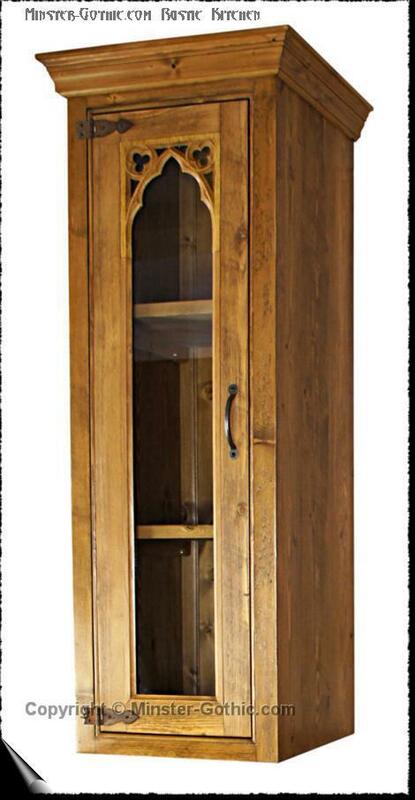 Minster Gothic Rustic Style Cupboard Base Unit. 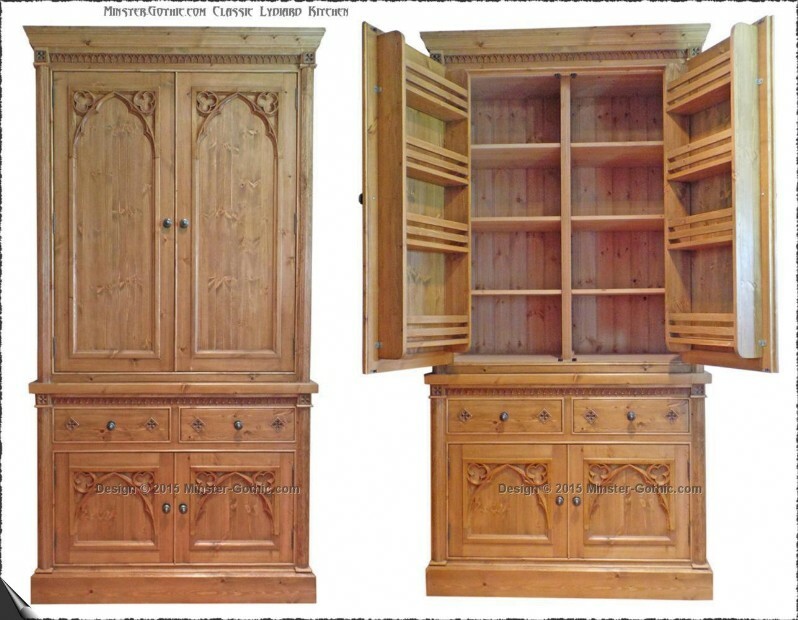 Minster Gothic Rustic Style Double Cupboard Base Unit.